Jamie Eden Game Director at TT GamesHas taken to the official PlayStation blog this week to announce that the LEGO Star Wars: The Force Awakens DLC will be launching in a few days time on June 28th. The new DLC provide players with some free DLC content with the exclusive Droids Character Pack, check out the video below to learn more about the PlayStation exclusive game content. The Droids have always been some of my favorite characters in Star Wars films. Even though they’re machines, they still seem to have more personality and charm than a lot of humans do! Which is why it’s really exciting to be able to give players a pack that features these awesome characters. To show you what I mean, we’re here to reveal our latest vignette detailing this exciting content. As you can see from the video, these Droids are a cool bunch and should be familiar to many Star Wars fans. For starters, we have R5-D4 (or “Red”), a lesser-known but important astromech droid to join your galactic quest. For the super fans, this is the droid that Luke Skywalker purchased in the original Star Wars film instead of R2-D2 until a malfunctioning motivator set into motion all of the events we now know to have shaped the Star Wars galaxy! Alongside R5, we have IG-88, the chrome bounty hunter droid fans will remember from Star Wars: Episode V — The Empire Strikes Back who carries with him a unique heavy blaster rifle, capable of tracking down his foes. Continuing the theme of combat droids, players will get to use Battle Droids from the Star Wars: The Clone Wars animated series, including the Captain Battle Droid, Super Battle Droid, and the agile Captain Commando Droid. 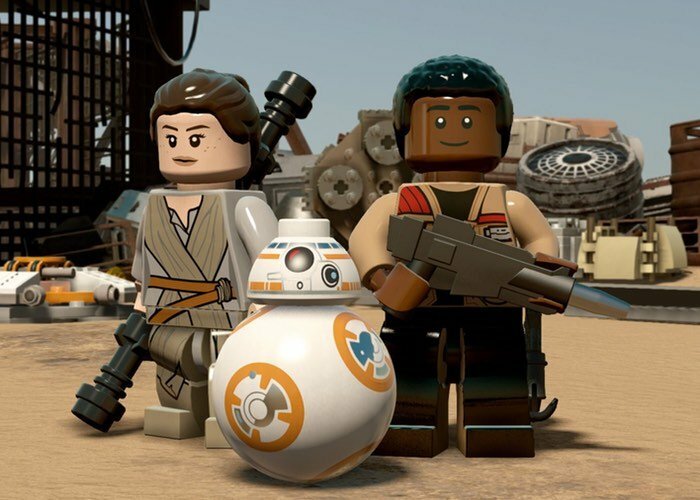 These three can certainly provide plenty of supporting fire to help you through LEGO Star Wars: The Force Awakens. For more information on the new LEGO Star Wars The Force Awakens Exclusive PS DLC jump over to the PlayStation Blog website for details by following the link below.